If you’re someone who likes to have lots of options, remodeling your Naples-area home may be right up your alley. You can choose what room you want to remodel—whether it’s your kitchen, your master bathroom, your powder room, your living room or your whole home. You can opt for more space, more light, more comfort, more energyefficiency or simply a new look. 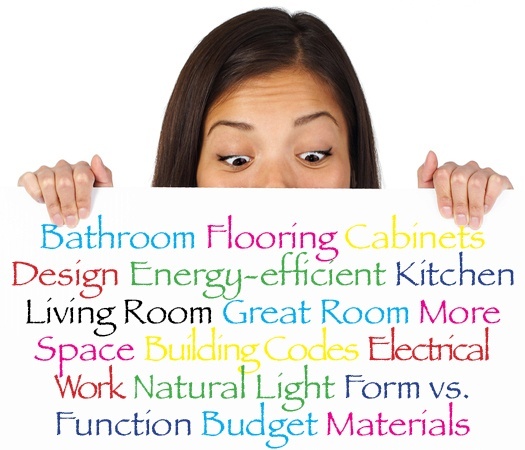 Plus, things in the remodeling industry are always changing. There are new trends, new designs, new materials and new technologies all the time. In fact, even if you like options, there are so many options when it comes to remodeling your home that it can leave your head spinning. How can you deal with this information overload so that you can sort it out—and actually make the changes you want to make? Our Remodeling a House,Creating a Home ebook is a great resource for looking at the options open to you for creating space, making good lighting choices, picking the right colors, considering energy-efficient options and much more. Click here to download this helpful ebook for free. Still looking for more ideas and options? We invite you to check out some of the projects we’ve worked on in the Naples area recently. You can glean some great new ideas from what you’ll see. While ideas and information are great, you will probably also want some assistance in turning those great ideas into a real plan for creating the home you want. That’s where a design/build remodeler can be particularly helpful. Not only does a design/build firm help you turn an idea into a plan, but the same company also turns that design into an actual kitchen, bedroom, bathroom—or whatever it is you want or need. Here’s a helpful post that explains a bit more about how the design/build process works. Like you, we think that ideas and options are great. But if you ever feel overwhelmed by all the information and options you’ve got, we’d be delighted to help you turn those ideas into real changes in your home.